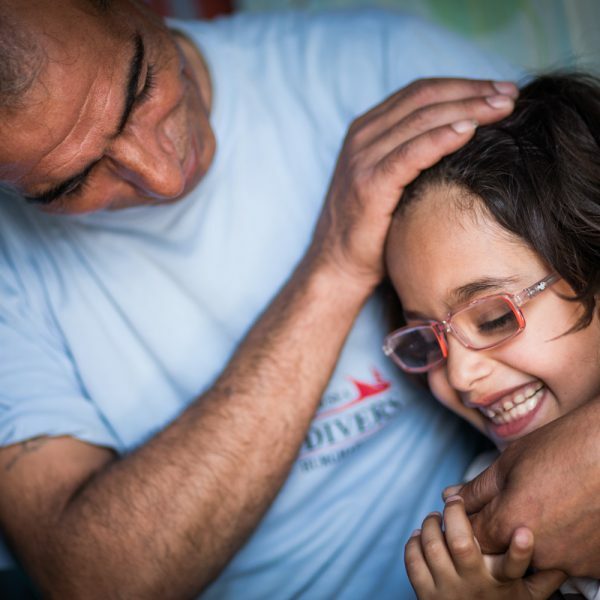 With a gentle prod of encouragement from his father, six-year-old Ahmad nervously steps forward and recites the numbers one to 10 in English. He says them quickly and his voice does not waver; he knows them perfectly. Abed is among many parents who wish for the kind of stability and hope brought by programmes like these. Borghleieh is one of five locations in the southern Lebanon where Unicef and the Norwegian Refugee Council (NRC) are implementing vital non-formal education projects funded by the UK’s Department for International Development for almost 800 out-of-school Syrian refugee children. Parents at all the locations all say the same thing: We want our children to keep learning so they have a chance at a positive future. The UK government has been one of Unicef’s largest donors in Lebanon since 2012, donating almost £15 million to respond to impact of the Syria crisis in Lebanon. These funds ensure that the most vulnerable Syrian and Lebanese children affected by the crisis are provided with essential education, child protection and water and sanitation services. With the aim of bringing education to the estimated 400,000 out-of-school Syrian children in Lebanon, Unicef’s non-formal education project helps refugee children who are not currently enrolled in the public school system due to challenges such as language barriers or stalled academic progress resulting from their geographic displacement. The non-formal education project offers classes which boost their literacy, mathematics and language skills so that they may eventually integrate into the public school system. In Borghleieh, students aged 6-14 attend seven periods of classes a day, five times a week. They also take part in sport and other recreational activities. Awareness sessions are provided to parents to teach the importance of education, gender equality and child protection. The holistic approach ensures that not only are the children keeping up with their studies, but also that they are safe and happy after they leave school, especially important given the increase in the numbers of working children among impoverished families. Fatima, 35, lives in the Palestinian camp of Bourj al-Shemali, just outside of Tyre in southern Lebanon. She says that when NRC came knocking on her door as part of their outreach programme, she gladly sent four of her seven children to the programme. Stories of children unable to fulfil their basic right to education are common in the camp.